Sha Tin Hoi is at the mouth of Shing Mun River and between Ma Liu Shui and Ma On Shan. 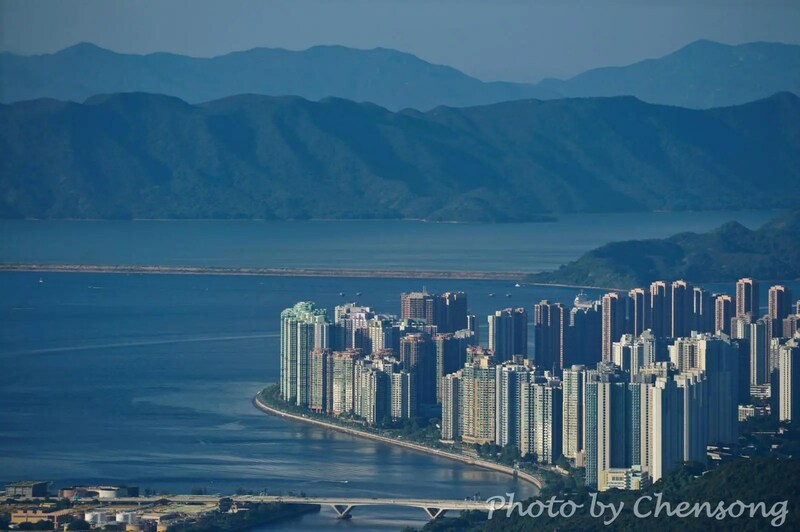 Shatin District is the most populous area in Hong Kong and built mostly on reclaimed land in Sha Tin Hoi. 65% of the residents here live in public rental housing. The Chinese University of Hong Kong was originally built along the bank of Tolo Harbor in 1963. Alumni said it was quite a romantic place because students could walk along the beach and see the Milky Way at that time. Now the land is reclaimed to build the railway and Hong Kong Science and Technology Park. The picture was taken on top of Lion Peak where hikers can see Shing Mun River, Sha Tin Hoi, Ma On Shan Town, Tolo Harbour and Plover Cove Reservoir.